Associate professor of History at Bishop’s University in Sherbrooke, Quebec, Canada. Past positions in Toronto, San Francisco and Regina, Saskatchewan. Author of Fire and the Full Moon: Canada and Indonesia in a Decolonizing World (UBC Press, 2009) and collection editor of East Timor: Testimony (Between the Lines, 2004). Human rights advocacy on Timor-Leste and other regions bordering the Pacific. 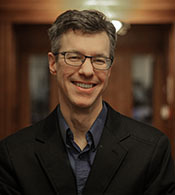 Research focuses include trans-Pacific interactions between Canada and Asia, the diplomacy of independence movements in Asia, and the histories of international organizations.